Trulia’s Android and iOS smartphone apps now give consumers the ability to receive alerts when new homes hit the market near wherever they happen to be. By opting into the new feature on the updated app, consumers get notified when a for-sale or for-rent home that meets their search criteria hits the market from a quarter of a mile to up to five miles away from where they are. The app was built to alert consumers to new, nearby listings when they’re out and about, either house hunting or going about their daily routine, Trulia Chief Marketing Officer Kira Wampler told Inman News. Users can elect to receive alerts that show up on the smartphone’s lock screen or from within the app’s notification center, Wampler said. 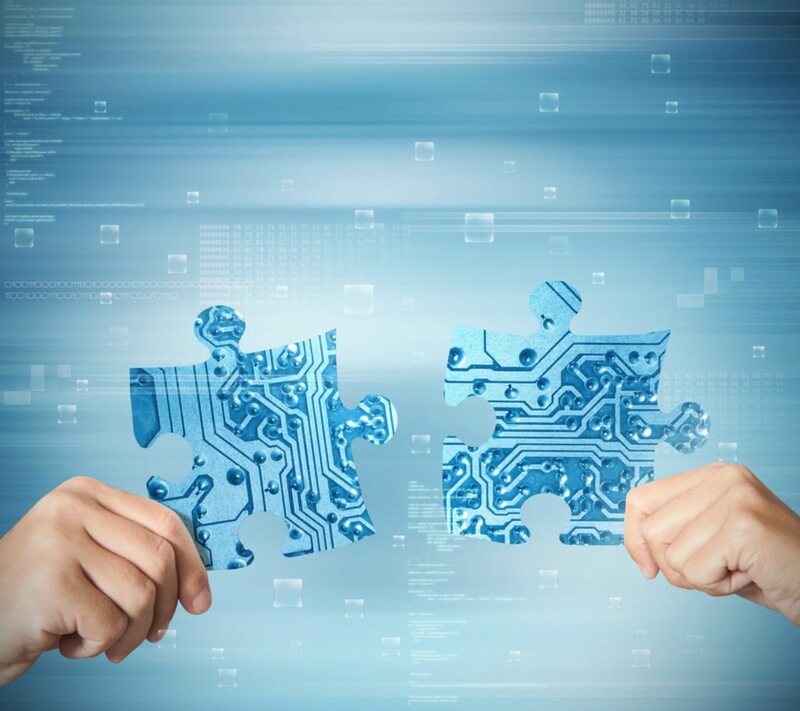 Trulia says it anticipates that this feature will up consumer engagement and drive more leads to agents. Consumers can choose to receive alerts on newly listed homes based on a variety of filters, including whether they’re for sale or rent, their price range, and their number of bedrooms and bathrooms. Trulia sets up a geofenced virtual perimeter around new listings, Wampler said. When Trulia smartphone app users, who have the location-alert feature engaged, pass near a house that meets their search criteria, the app sends them an alert, she said. Users can choose when the alert feature is active as well, Wampler said. For example, it can be set to work just on the weekends when you’re house hunting or during the week if you’re trying to find a home near your workplace, she said. The app checks for new listings on Trulia at least once a day, said Lauren Hirashima, Trulia’s senior mobile product manager. Trulia offers other listing alerts, but this is the first tied to a consumer’s location, Hirashima said. 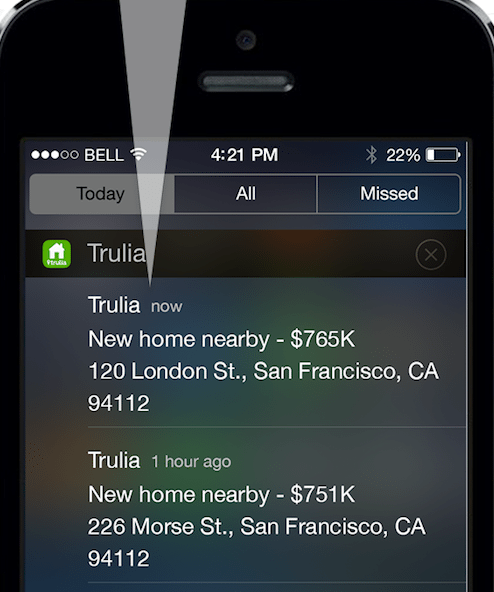 The new feature is part of Trulia’s push to drive engagement on its mobile apps, Wampler said. Driving mobile app downloads and engagement was one of the firm’s main goals for its $45 million consumer marketing campaign launched in March.